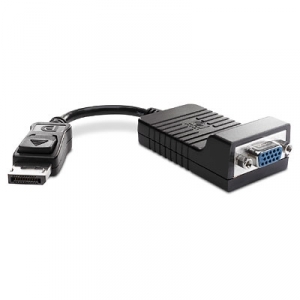 Converts the DisplayPort connector on a HP Compaq Business Desktop computer to a VGA port. Converts a graphics card's DisplayPort output to a VGA output for use with a VGA monitor. 8 in (120.0 cm) adapter. Latching DisplayPort connector for a secure connection.